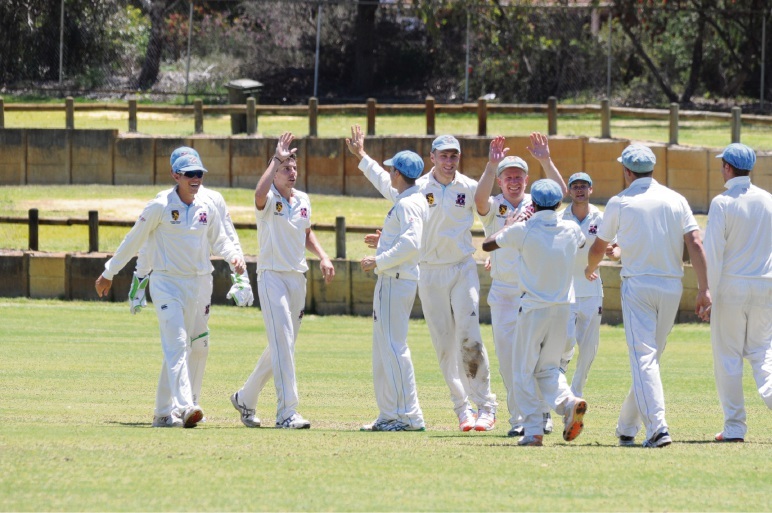 WILLETTON kept its Premier Cricket top four aspirations alive with a strong victory over Subiaco Floreat at Burrendah Reserve on Saturday. Matt Hanna and Brad Hogg were the chief destroyers with three wickets each, as the visitors were bowled out for 166 in reply to Willetton’s 202. Hanna was key to Willetton getting on top, taking 3-0 at one stage, dismissing Alex Malcolm, Tom Moores and Aaron Lilly in a devastating spell to reduce Subi to 4-51. The visitors never recovered, despite Tim Monteleone’s unbeaten 73. The Dragons then finished at 6-170 in the second innings, Craig Jensen top scoring with 47 not out. Willetton are next up against South Perth at Burrendah Reserve.